In the wake of the US tour’s blockbuster sales and added concerts, Katy Perry announces the UK & European leg of WITNESS: The Tour. Produced by AEG Presents, the British and European tour will kick off on 23 May, 2018 at LANXESS arena in Cologne, Germany and will make stops in London, Birmingham, Sheffield, Liverpool, Manchester, Glasgow and Newcastle in June 2018. The run will include a Paris show on 29 May at the AccorHotels Arena and London on 14 June at The 02 – plus additional stops in Amsterdam, Stockholm and Berlin at the Mercedes-Benz Arena on 6 June. Tickets for the UK Tour go on sale Friday, 9 June at 9am BST via KatyPerry.com and http://www.axs.com. See below for itinerary or visit http://katyperry.com. For more information, visit http://www.aegpresents.com. 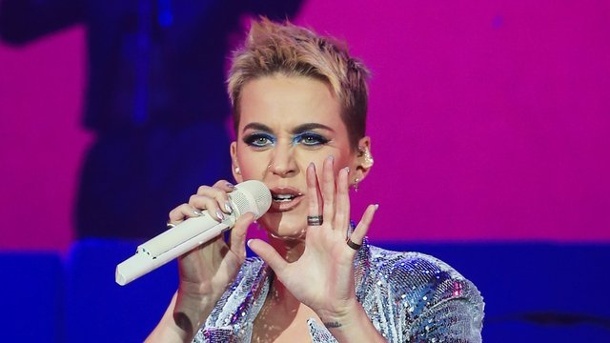 WITNESS: The Tour is Katy’s first run since the sold-out, 151-date Prismatic World Tour, which concluded in 2015 and was hailed by Rolling Stone as “a show to damage retinas and blow minds.” Sponsors include COVERGIRL and KATY PERRY PARFUMS. Katy made her Capitol Records debut with 2008’s One of the Boys after signing to the label in 2007. She cemented her status as a global superstar with the follow-up album, Teenage Dream (2010). PRISM, her 2013 album, debuted at No. 1 on iTunes in 100 countries and has sold more than 12.5 million adjusted albums worldwide. With the singles “Firework” and “Dark Horse” each surpassing the 10 million threshold including song sales and streams, Katy is the first female artist to earn two RIAA Digital Single Diamond Awards. In her 10 years with Capitol, she has racked up a cumulative 18+ billion streams alongside worldwide sales of more than 40+ million adjusted albums and 125+ million tracks and is the most-followed person globally on Twitter.